For a town known for its pioneering spirit and rugged individualism, Portland’s hospitality industry is a surprisingly staid business. While remodels and rebrandings abound, it’s rare that that you actually see a new hotel go up in Portland, and even rarer still that you see anyone do anything truly innovative. Which is what makes The Society Hotel so fascinating. Carved out of the old Mariners Building on Southwest Third Avenue (one of the few remaining cast-iron buildings in Portland), The Society has taken a piece of Portland’s history and turned it into one of the first truly new hotels that Portland’s seen in almost a decade. When it opens on November 5 of this year, The Society Hotel will bring 36 affordably-priced rooms and 24 hostel-style bunk beds to downtown Portland’s Old Town / Chinatown district. 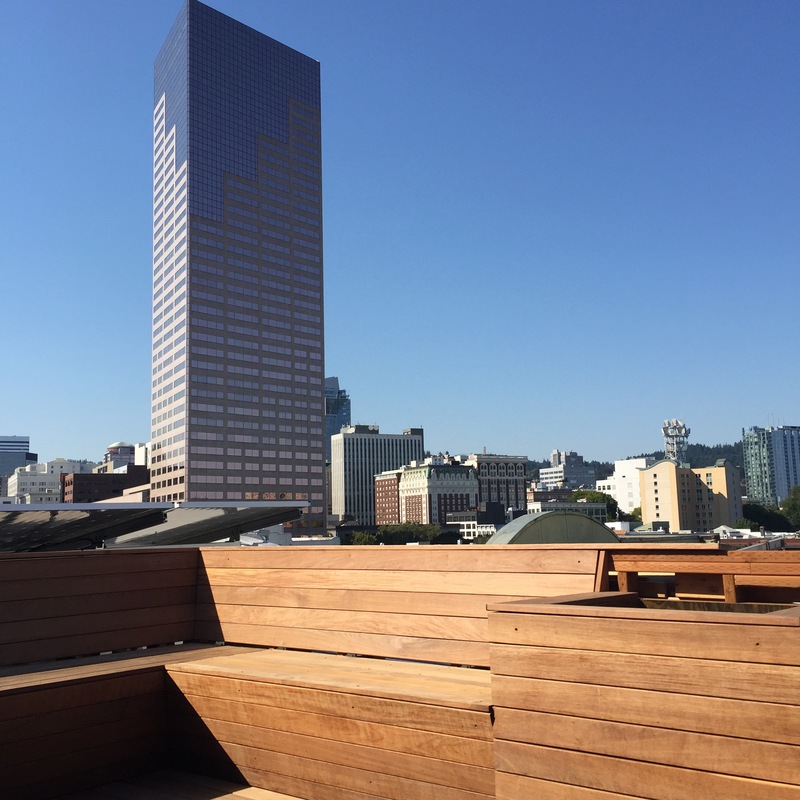 We sat down with Jonathan Cohen and Matt Seigel (two of the four partners behind Society) on the rooftop deck of their hotel to talk about Portland, history, and their vision for impacting Portland’s hospitality scene. So why the name? How did you guys pick “The Society Hotel”? Jonathan: The name came out of two places… one, the group that built the building was called the “Seaman’s Friend Society,” and it was sort of a safe haven for sailors. They’re actually based out of New York, and they built another building in New York some years later that became the Jane Hotel, which is actually kind of a similar concept. The other reason was that… as we studied the history of this building and the history of Portland, and you really get in touch with the fact that this was a major place that people emigrated to, what with the Oregon Trail and beyond. And we liked the idea that people came here to create their own utopia, their own society. So that was the other nod, to this idea of creating our own way of living, that everyone self-selects who moves here because they want to live a certain way. We liked the idea that people came here to create their own utopia… that everyone self-selects who moves here because they want to live a certain way. Let’s talk about Old Town / Chinatown. How has your location influenced how you’ve chosen to market this building? Was it a conscious decision to come here? Matt: Very much so. From the outset, Old Town / Chinatown was appealing to us because it really is the original heart of the city. In 1880, it WAS the city. And the city has grown around it, but it remains at the center of it all. It also is one of the areas that has buildings with the most character. Which is really what appealed to me in the beginning: the idea of taking something old and recreating it and making it into something new while honoring the past. Chinatown, as seen from The Society Hotel. How did you find the building? Jonathan: We actually had come downtown to look at a building a few doors down, and when we looked at it, it was just like, “Oh man, this place seems rough.” Afterwards, my wife and I were just looking around on the street and she said, “Oh Macdonald Center – I know them, but they’ve moved.” That had been in the ground floor of this building, and we just took a step back and thought – “Wait. This is more like it.” We immediately got the ball rolling and within about two weeks we were in contract on the building. Matt: It was love at first sight. It really was. Some of the building’s original details are still visible throughout the hotel. None of you have any prior experience in the hotel industry, right? 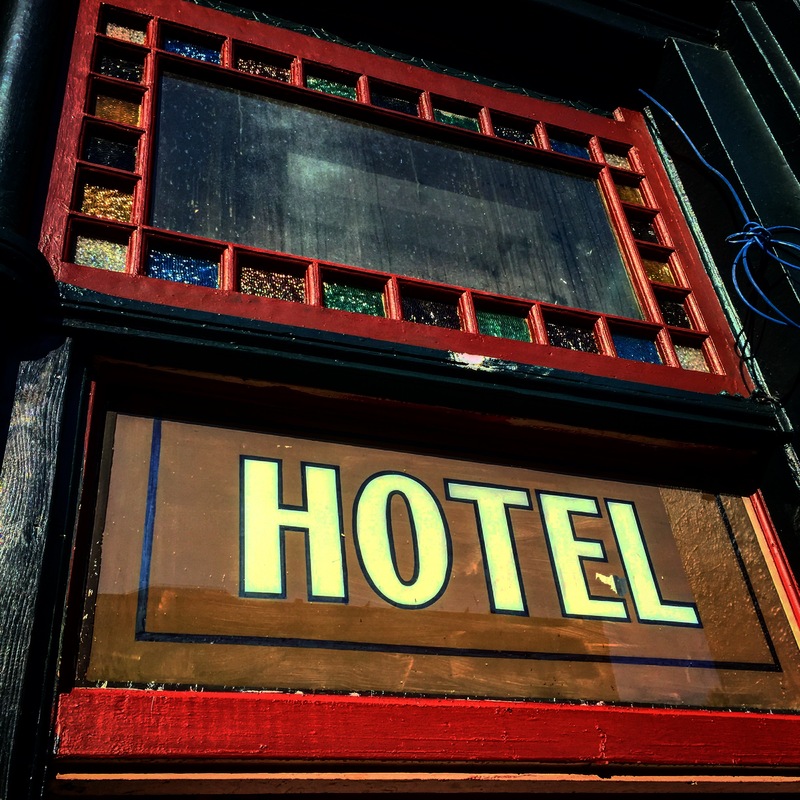 What made you decide that you wanted to do a hotel? Matt: No, none. 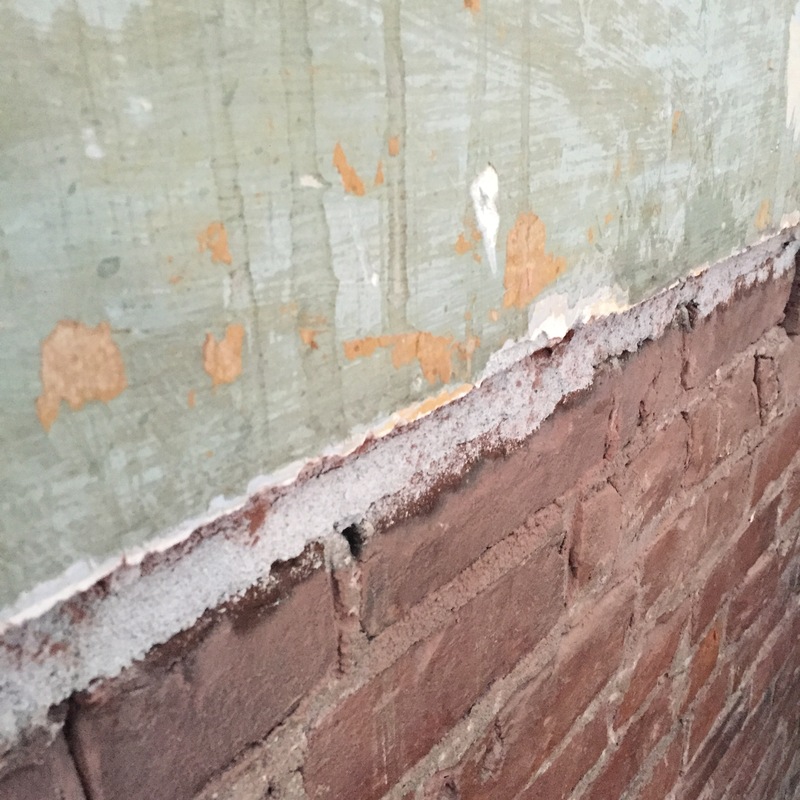 I had mostly worked on residential restoration/rehab and some commercial redesign, but… I had been looking for a lasting project, more of a legacy project, that I could build and provide people with a space that could be enjoyed for years and years and years. Early on, we went and saw this initial hostel concept in action in Chicago, and they were doing well, but we realized that it was something we’d have to adapt for Portland, because Portlanders have created this higher-caliber requirement: there’s more character to things that get built here, there’s a conciousness about how they’re built, and there’s a feel that runs through the veins of the city – in all of our hospitality experiences, in our dining experiences – that we knew we could capture within this concept. Jonathan: I’ve been here twelve years and I really love telling my friends and family about Portland, and for me the hospitality experience was just sharing what Portland’s about and that’s another key theme of this hotel: giving people this Portland experience while they’re here, even if they never leave the building. Whether they enjoy craft brews or coffee or wine – or even just the craftsmanship and history of the building, we want people to get all of that. It’s about a holistic experience of what they want to take in as much as it’s about the city itself. So what do you think is crucial to that Portland experience? Jonathan: It’s really the little things – Portland doesn’t have an Eiffel Tower or a big landmark that people need to go and see, so it’s really about the little, hidden things in the neighborhoods: the shops, the people you meet, the different stories… Everyone’s from a different place and has a different story to tell. Just like the TV show Portlandia – it’s about these little vignettes that together make up this really interesting city. We’re looking to help people explore and find those experiences. So we’re have going to have this kind of “Choose-Your-Own-Adventure” style concierge experience at the front desk, where we’ll have a library card catalog – literally – of places and things around Portland that you can do. People will be able to pick-and-choose and work with one of our front desk staff and put together an itinerary to have their own customized travel experience. Matt: Before we even started considering this project, at both of our homes we’ve always had this kind of open-door policy where we invite our friends and our family and travelers in and want give them the best Portland experience that we can. We’re so enamored with the city that we want to share it with other people. The view from Society’s rooftop deck. Were there any hotels that you looked to for inspiration with this project? 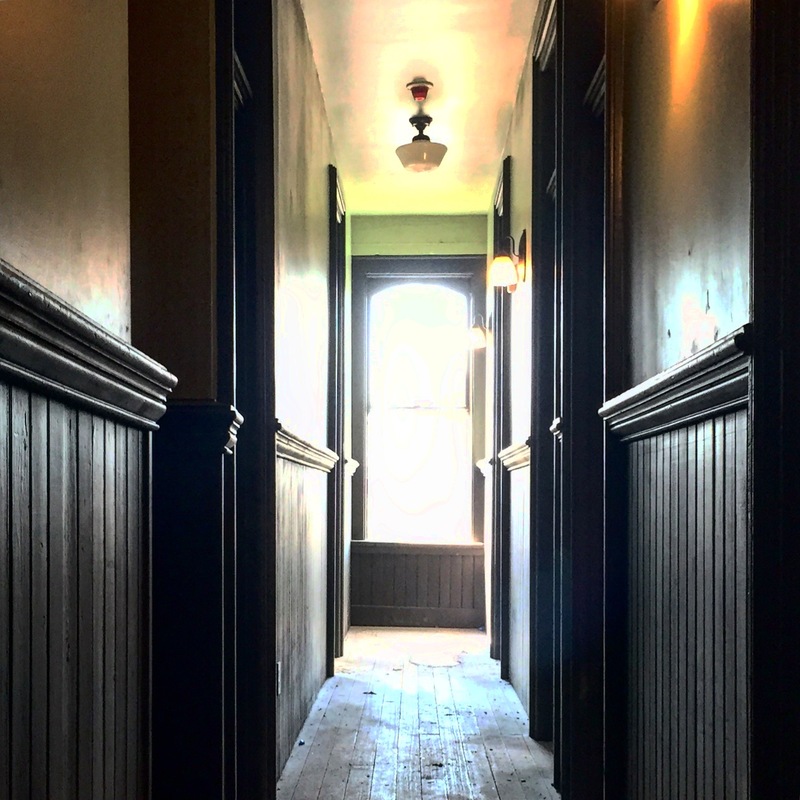 Jonathan: Well, the Jane Hotel was certainly a reference property in the sense that it was built by the same people and they were doing a similar concept of adapting and reusing the configuration of a boarding house but making it fun and cozy. Jonathan: -interjecting- It’s kind of inspired. They’re not afraid to do interesting stuff. And where I grew up, you don’t see that stuff very often – it’s much more traditional, much more conservative. There are lots of things about different properties that we like – how can you not love the slick, cool feel of the Ace (Hotel) and the Jupiter has a fun, mid-mod thing going on. Matt: Or even five-star resorts… there are certain elements of those places that come up in our weekly meetings – “You know what they do here that really sets it apart… they give you a fresh blanket when you go outside and they just know – they know what you want.” We’ve tried to think of all of those things as we’ve created this concept; how do we get all of these little touches that make it a personal experience – an intimate experience – and still use the thing we like most about budget chains, which is the price. On a practical level, we talked before the interview about the fact that The Society Hotel has limited parking options, which may obviously impact your appeal with a certain demographic of traveler. What’s your target demo? Who are you hoping to attract? Jonathan: We hope to attract several different groups, but we think that anyone who would consider services like Airbnb would consider our hotel… One of our taglines is “Serving Adventurous Travelers Since 1881,“ and we think we’d be the right kind of place for people of that mindset… people who like to go out in the world and experience things; people who are looking for a different experience and really want to get to know a city and the places that locals visit. That’s the kind of experience that we want to provide. We also see The Society Hotel as a good fit for anyone that’s a budget-minded traveler as well: backpackers who normally stay in hostels, students coming to visit with their parents, small business travelers… even couples looking to come downtown for a date night. 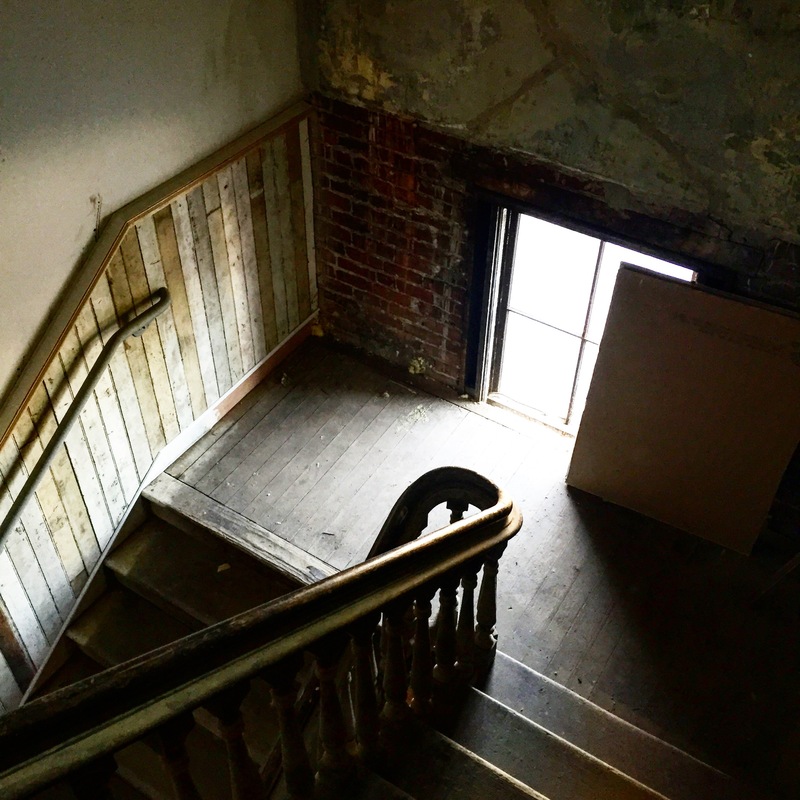 Matt: We’ve also been surprised by the response from history buffs… people who’ve heard about what we’re trying to do with this project and this building and seek out these historic spaces to stay in, rather than one that was just constructed. I know that PDC (Portland Development Commission) has been involved with this project, and you mentioned all four of the partners have lived in Portland for some time. But what about your other investors? Would you say this is a heavily “Portland” project, or do you have a lot of outside investment? Jonathan: No, we raised all the funds ourselves, so we have some family and friends that supported us, but there are no deep-pocket investors from out of town. Matt: Our loan comes from a local bank – Lewis & Clark Bank – so we have PDC and Lewis & Clark, and those are the major funders for this project. 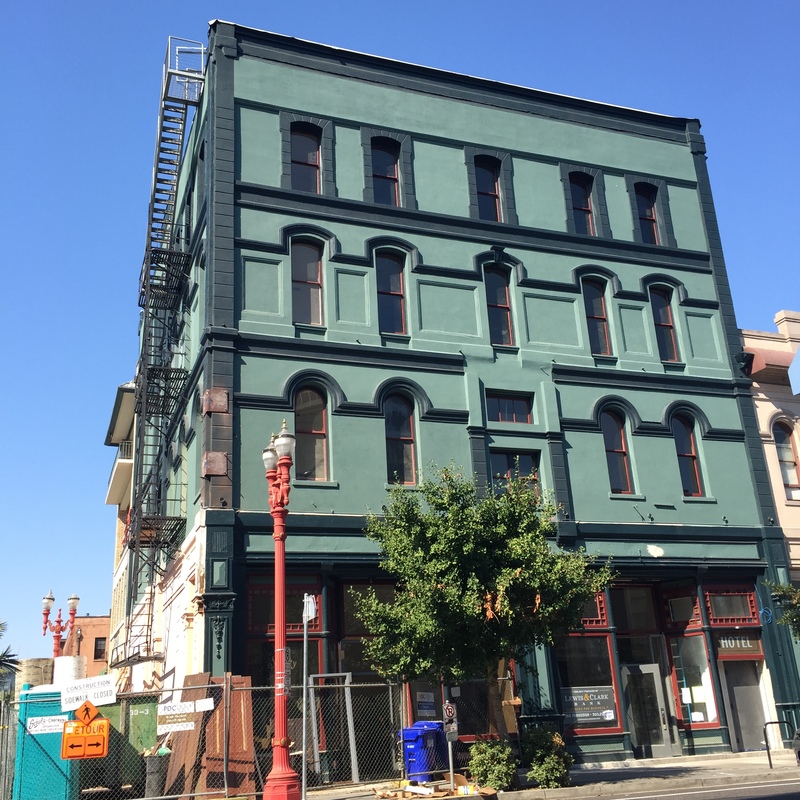 We tend to think of PDC being very much about renewal and new development, and yet this building is also going to be on the National Register of Historic Places. How has that process been, in terms of balancing the future and the past? Jonathan: It’s been challenging. Between the historic requirements from the city, the LEED requirements, state and national historical requirements and modern code and fire safety – just sorting through all those was difficult. But we got some advice early on from someone at the City – basically, it’s about adaptive reuse: not trying to do something totally different than what the building wants to be. 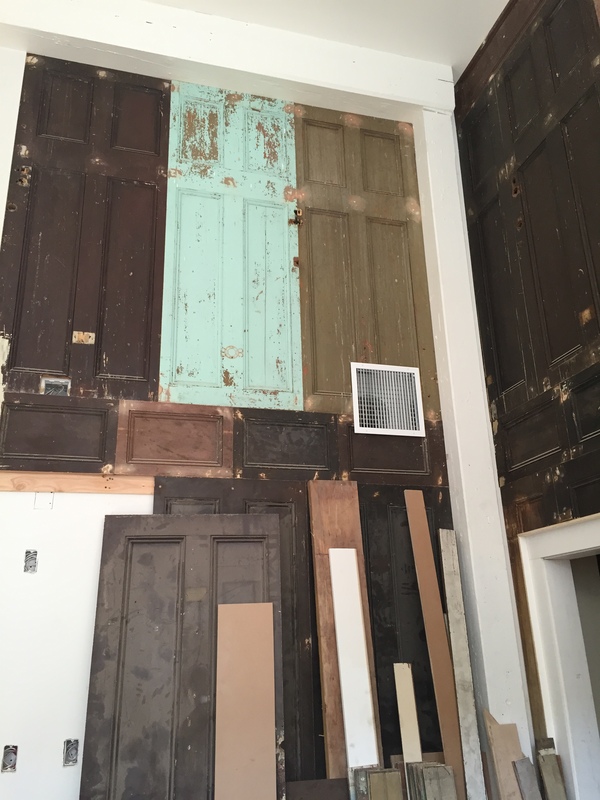 A lot of the wood used in the hotel has been salvaged from other parts of the building, including the old doors that line the walls of the lobby. Gentrification is obviously a big topic in Portland right now. How do you feel that projects like this fit into that conversation? Jonathan: Portland is obviously growing and changing… and I think most of the changes are really exciting; it’s bringing new ideas and new industries to Portland, and I love the way that Portland’s integrating all of those different things together. We’re excited to be part of that change, and we’re excited to be part of… bringing new things for people to do and ways to experience Portland. 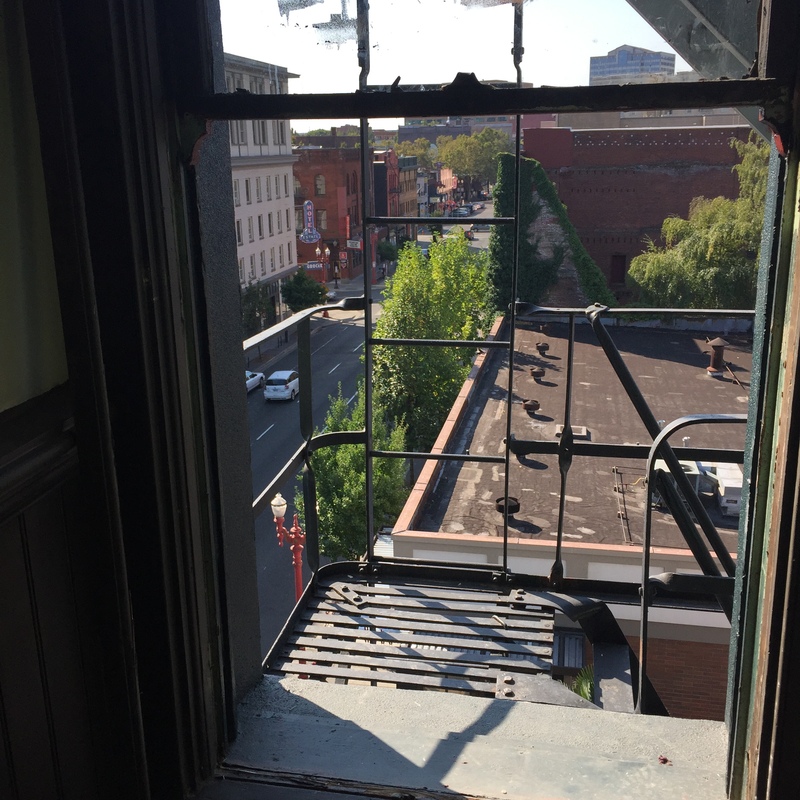 If anything we’re bringing about a reawakening of exploring Portland’s past and we’re excited about looking at the history of this area, this building. An artist named Rose Bond did this really cool art installation… where she projected these illustrations of the history of Portland and specifically this building… It was beautifully done, and it just kind of shows you that Portland has been home to different waves of immigrants that have all filtered through this area… and so it’s fun to be part of yet another period of change in Portland. What’s in the future for you guys – do you have any plans for another project? Matt: We dream of being able to continue to create cool places for people to go… so, how that evolves from this, we don’t know, but we’ve had a really wonderful experience working together as a team, and I think all of us would be happy to consider jumping in together again. Jonathan: Whether it’s another hotel or a totally different business, I think the common thread for all of us is that we love this transformation idea – we love to make things improved and different, and wherever there’s an opportunity to do that, I think we’ll follow it. But we don’t know what that is, yet. The Society Hotel opens on 5 November 2015. Book your reservations here. Posted in Interviews, Portland Living, TravelTagged Airbnb, Chinatown, Gentrification, Hotels, Jane Hotel, Old Town, Old Town / Chinatown, PDC, Portland Development Commission, Portland Hotels, Rose Bond, Society Hotel, The Society HotelBookmark the permalink.